Sorry we're a bit late today, it's been hectic recently! Our designs take quite a while to dream up, prepare, create, edit and write up so it can be tough finding the time to produce quality content for you. It's also a challenge getting good lighting for photos so we are ecstatic that the evenings are starting to get lighter again, yay! Today I have been working on St Patrick's Day nails (to be revealed soon) and was listening to the Wales v. Ireland rugby match whilst working. Ironically I was rooting for a Wales victory to let England back into the Six Nations. It was a bit confusing painting Irish nails whilst hoping for their defeat! 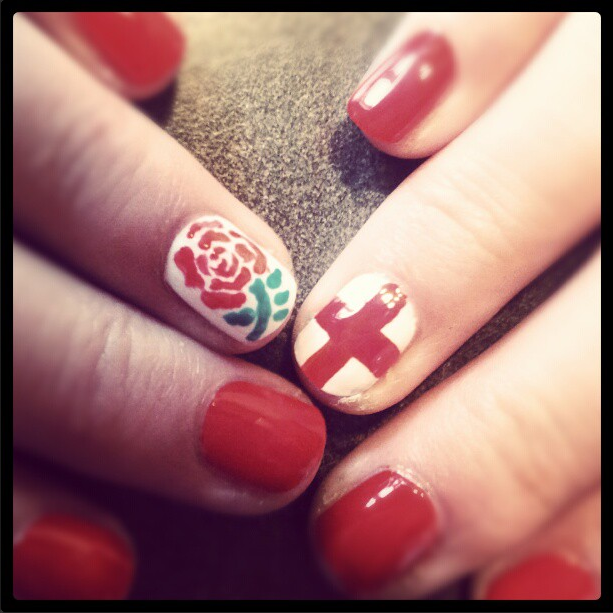 Anyway, that reminded me that I haven't created any England Rugby nails this year, in fact, I think I missed last year too. 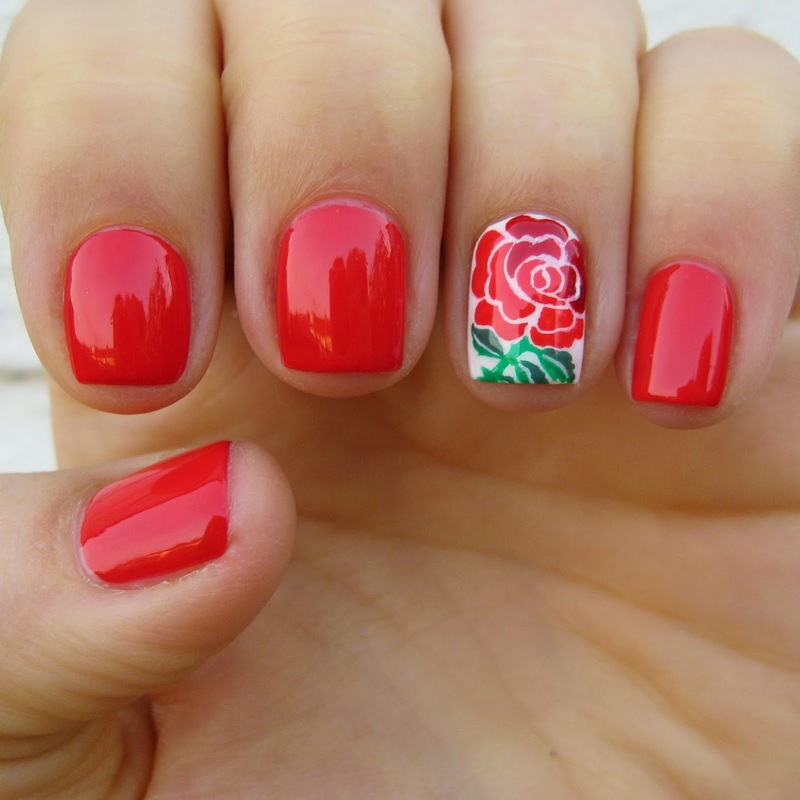 The England Rose is an attractive symbol and therefore works really well in nail art! I used O.P.I - Red My Fortune Cookie* for the main colour, and Put A Coat On! * for the white accent. The rose was painted on with a small brush using the same O.P.I red and Barry M - Red Wine and Cardamom* for the additional detail. I used to be able to draw this rose from memory but had to look it up to ensure I got it right today. I messed it up a little as it doesn't quite fit on my nail, but I wanted it to fill as much of the white space as possible so was half expecting that to happen. I have created this design before, back when I was a nail art newbie. I wasn't convinced I was going to be able to do any better the second time round, but I've just found the original and am astonished. 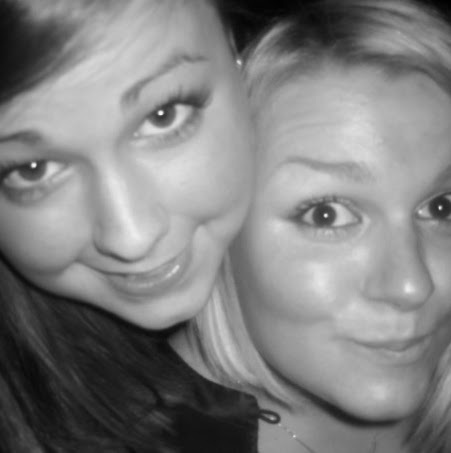 I genuinely thought that the first attempt was wonderful, can't believe how far I've come since then! 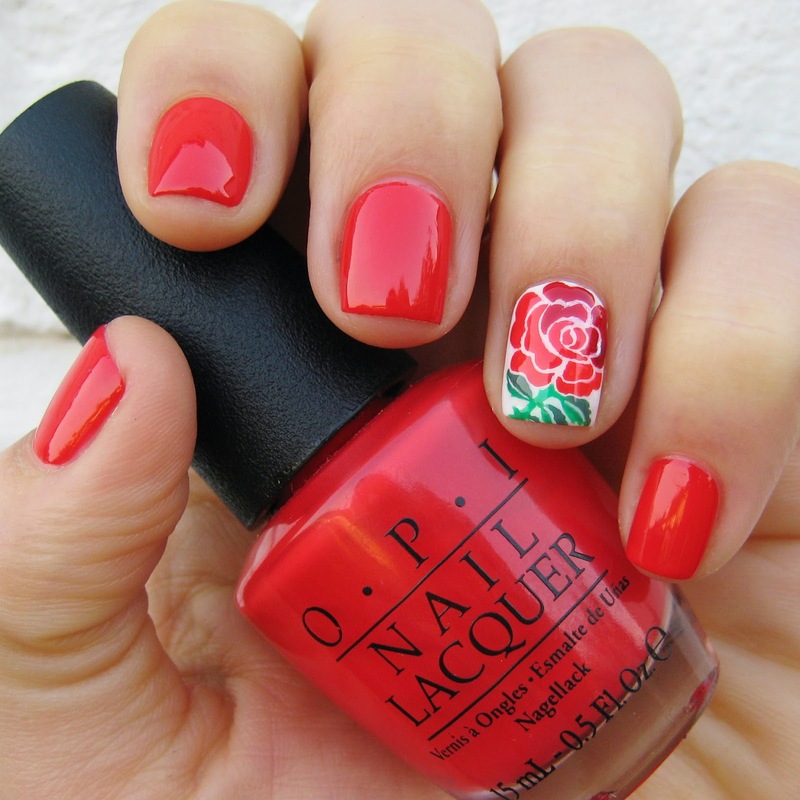 My nails were a total mess and the rose barely resembles England's famous symbol. Right, we're underway against Scotland now so I'm off to watch it!! Red roses are the actual red color.Theses will be much more good than to use other colors. These will look most beautiful on fairer hands. the famous England's symbol looks very nice.